How do you calm an aggressive puppy? Puppies are full of life. They run, play, tumble, chase, and yes, even snap and nip. But when does play cross over into aggression? There are clear signs and ways to calm that rowdy pup. Let’s delve into the world of puppy aggression to take a “bite” out of the problem. A puppy uses many different techniques to engage a person (or another animal) into play. Perhaps the most endearing is the “play bow” (lowered head with raised hind end). These antics are not only fun to watch, but they are also a hoot to participate in as well. Aggression brought on by a situation or a stimulus rather than spontaneous play time. If your puppy demonstrates any of these behaviors, it could be stemming from fear, pain, territorial issues, or conflict. Be sure to evaluate the situations or enlist the help of a veterinarian or an animal behaviorist if you are unsure. Learn more tips on How to Tell if Your Dogs Are Playing or Fighting! Sidetrack – when your puppy begins any inappropriate behavior use a toy to divert his attention. Offer him appropriate items to mouth and chew on before he engages in aggressive actions. Verbal cues and actions – if your puppy is too rough during play such as biting too hard, loudly say “ouch” and stop playing with him. Time-out – If your pup is not responding to your attempts to stop the behavior, pick him up (and a few toys) and put him into a separate room or his crate until he settles down. Don’t engage in rough-housing or aggressive play – some puppies tend to go from zero to sixty very quickly. Do not engage these types of personalities in roughhousing, as it will escalate into mouthy or nippy play on their part. Use a leash – using a leash indoors can be helpful to curb the poor behavior. However, never yank or jerk on the leash as this action is counterproductive. These “quick tips” will help you calm an aggressive puppy, but like they say, an ounce of prevention is better than a pound of a cure (or something along those lines). Let’s check out some tips on how to raise a puppy that isn’t aggressive in the first place! Here are 9 training tips to help you with this task. 1. Exercise, Exercise, Did We Mention Exercise? A bored puppy is a destructive puppy – whether this manifests in destroying your home, or aggressive tendencies – either way, it’s not right. To help combat puppy aggression and general rambunctiousness, give your pet a daily dose (or more) of aerobic exercise. This can include fast-paced walks, playing fetch (or chase the ball), and general playtime. A tired puppy is less likely to engage in aggressive behavior. As we mentioned in number one, boredom can be the invention of aggression so give your pet something to do. Ordinary toys may not always cut it, so invest in some puzzle toys to get your pup’s brain working. 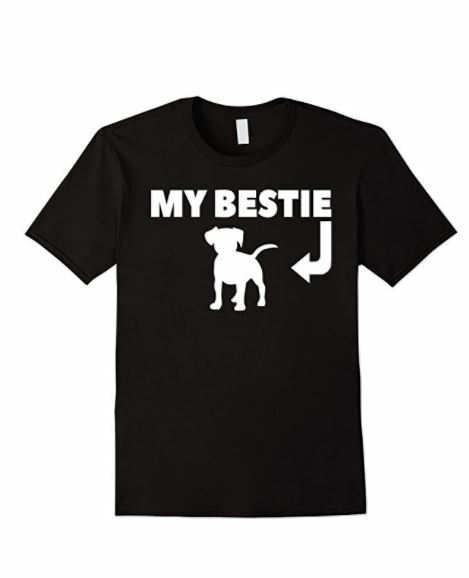 Click here for some of the best Amazon has to offer. 3. Come Play With Me! Playing with your puppy can include games of fetch, chase, and hide-n-seek. This not only reinforces the bond you are creating, but it also burns off that excess energy. If you can’t get outside, check out these indoor training games! I also love this video with some fun exercises you can do to tire out your pup indoors. It’s never too early to start obedience training. Basic commands such as Sit, Stay, Come, Lie Down, Leave It, etc., are the foundation of more advanced training and the fundamentals every good pet citizen should be required to perform. If you have children (of appropriate age) be sure to get them involved in the training as well. Whether you’re a seasoned pro or a newbie in canine training, enrolling your fur baby in puppy training classes is still beneficial. Puppy classes give your dog a chance to meet and interact with several other pups on a weekly basis. This is important during the early developmental and socialization period, which can provide invaluable interactions you won’t find in most neighborhood parks. No classes near you? Create your own! 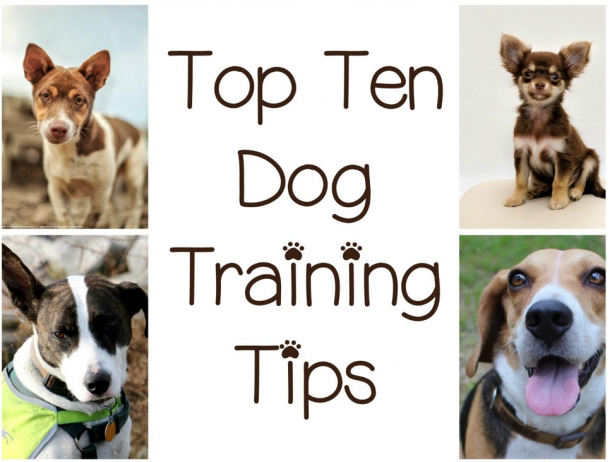 Check out this video to help you plan your puppy training day! We don’t always get what we want when we want it. This is not only a valuable “life lesson” for children, but for our canine companions as well. Before giving your pup a treat or something else she wants, teach her to respond to the Sit command. Discourage pushy behavior by pulling away your hands, leaning away, or looking away if she nudges, whines, barks or otherwise tries to get your attention. Once she stops the behavior, give the command again and when she complies, give her the attention. You can also practice delayed gratification by making your pup sit and stay for a few seconds when you leave the room before you allow her to follow. It’s never alright to hit, yell, yank or otherwise force an animal into compliance. Positive reinforcement is a proven method for effective training – would you work harder for a delicious reward or a violent smack? 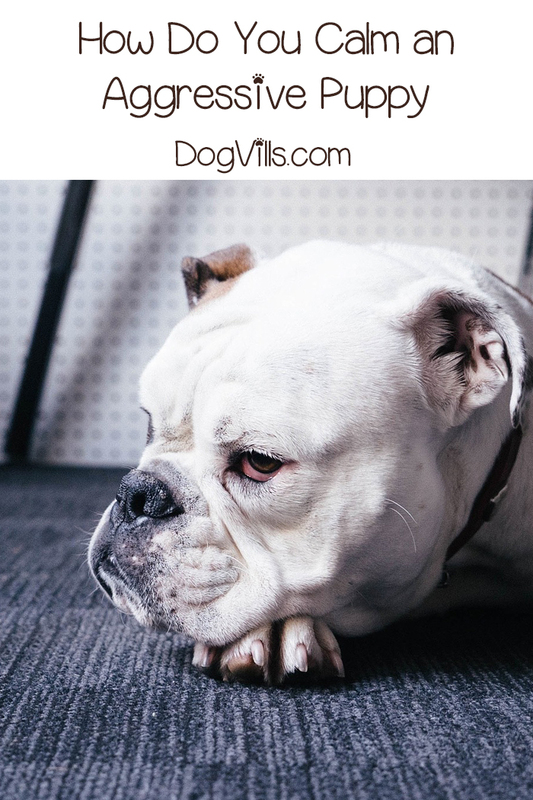 The old “training methods” such as scruff shakes, alpha rollovers, squeezing the puppy to the floor, nose thumps, holding the mouth closed, or swatting is not only cruel and counterproductive, but they will build fear and mistrust in your pet. If your puppy is particularly rowdy, stay off the floor. Playing at their level will not only put you in a vulnerable position, but it also makes it more difficult to control the situation. 9. Socialize, Socialize, Did We Mention Socialize? We mentioned it three times because it is essential. Puppies (and adult dogs) need to be socialized to become friendly, well-mannered canines. Expose your puppy to different people, situations, animals, and stimuli early on – don’t wait until he’s six months old – it’s never too early to begin puppy preschool! If your puppy is aggressive, follow these tips, hints, and tricks to help calm his rowdy behavior. Have you dealt with an aggressive puppy? Share your experiences with us. We’d love to hear your story.